 Action Communication Technology’s (ACT) is responsive, efficient, and we guarantee all qualified work with a 15 year limited warranty. All installers have a minimum of five years experience and follow all EIA/TIA codes. ACT also tests all cables after installation to insure optimum performance from the outset. ACT services the Houston, Austin, Beaumont and surrounding Texas rural and metropolitan areas. Our installation techniques provide customers with the flexibility to install any combination of phones, modems and analog lines at any location. Network cabling carries the lifeblood of your organization – information to minimize expensive data network problems. ACT follows strict installation and testing guidelines. Video medium can be closely associated with coaxial cable because most video applications require coax, but we also install twisted pair cable for certain video applications. We install, terminate and test multi-mode and single-mode fiber. This includes indoor and outside plant fiber. We’ve kept abreast of advances in the manufacture, termination and testing standards of fiber optic cable. Because the server room is the centralized brain of your structured system, we take special care to design and install it according to the highest standards.